Project Location: Pujiang county, Zhejiang province. 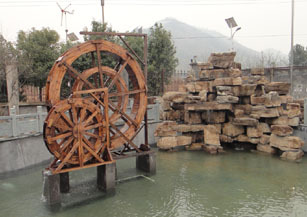 Project introduction: Waterwheel has a long history and unique appearance. It is widely used in park, campus, square, green space, tourist spot and garden etc in modern city. It creates dense cultural atmosphere in communities, other places and demonstrates the people-nature harmony humanity theme. With Solartech solar pumping system, Solar landscape waterwheel in this project generates power from the sun and drives waterwheel. It increases the beautiful city scenery with low carbon living style solution. Also, it advocates green energy and environmental protection. Solar landscape waterwheel will add the unique and elegant appearance for low carbon rural &municipal construction. 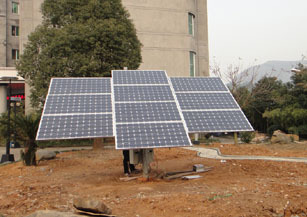 Solution: Utilizing Solartech PS750 solar pumping system. Solar energy drives classic style waterwheel and fully demonstrates people and nature live together in harmony as beautiful scenery.